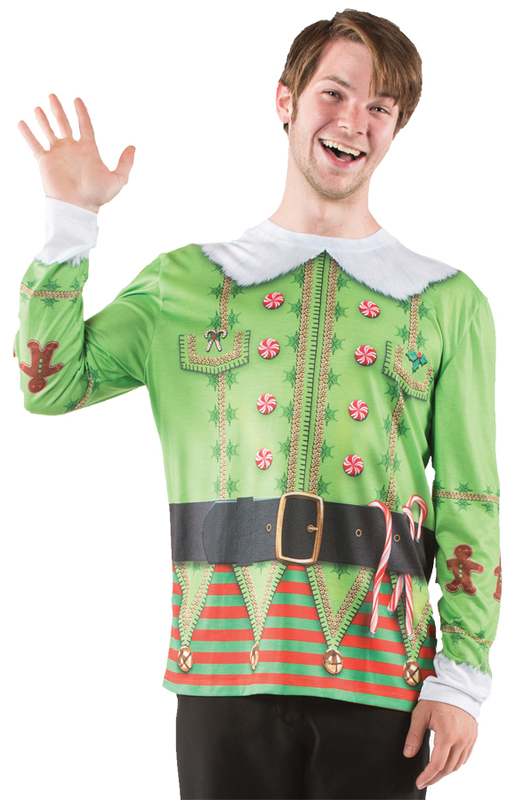 Be the hit of the next ugly sweater get-together with this Ugly Christmas Elf Sweater. 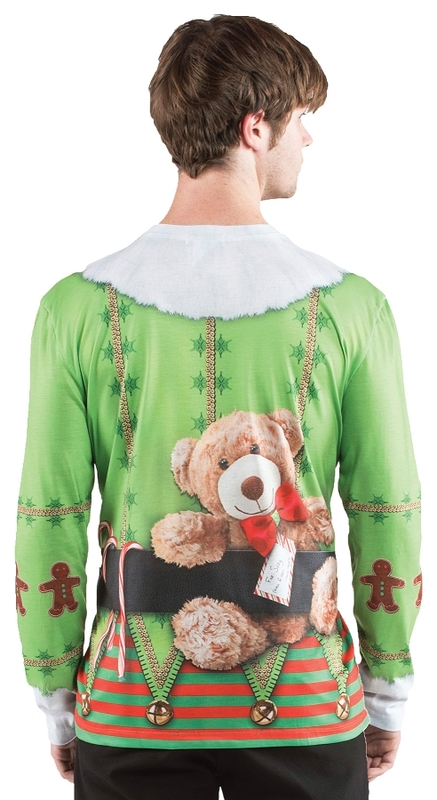 Comfortable, photo real t-shirt that resembles an ugly sweater. Candy cane, peppermint, gingerbread men, and jingle bell designs. 100% polyester. Fits male sizes M (38-40). Care Instructions: Turn garment inside out, machine wash cold on gentle cycle with like colors. Use non chlorine bleach only if necessary. Tumble dry low. Do not iron if decorated.